Iran may say repeatedly that its nuclear program is strictly peaceful, but the country is not allowing the world’s top nuclear watchdog to confirm that assertion. 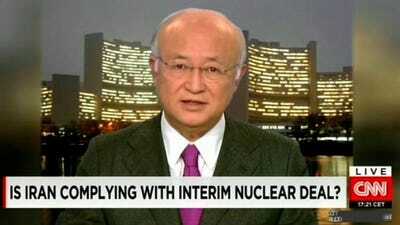 “We still cannot give the assurance that all of the activities in Iran are for peaceful purposes,” International Atomic Energy Agency (IAEA) Director General Yukiya Amano told CNN this week. Iran denies claims that it ever had a weapons program and says any documents suggesting it did are fabricated. But there’s no way for the IAEA to know for sure if Iran keeps stonewalling the agency. 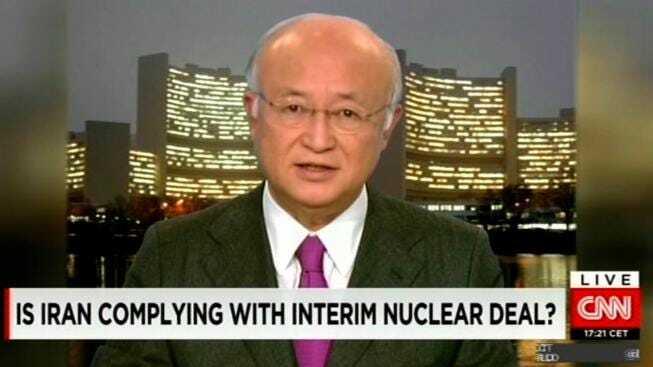 “We ask Iran to fully cooperate with us so that we can provide the assurance that all the activities in Iran is in peaceful purpose,” Amano said repeatedly on CNN. The current deal focuses on how to deal with Iran’s three major “declared” nuclear facilities so that there is sufficient time to notice if Iran attempts to produce enough fuel for a bomb. But the risk of a bomb being built in secret is greater.